OPEN ALL BANK HOLIDAY WEEKEND! - BUY NOW, PAY JUNE! 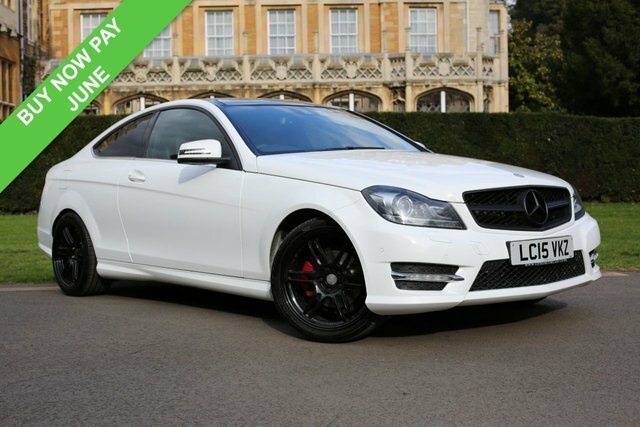 FINANCE AVAILABLE - This stunning Mercedes-Benz C Class Coupe presented in excellent condition. It comes with Full Service History and benefits from being fitted with new front brake pads and discs. This vehicle is fitted with the following factory features; Panoramic Sunroof, Satellite Navigation, Bluetooth Connectivity, Tinted Privacy Glass, Eco Mode, Sports Mode, Cruise Control, Parking Sensors Front and Rear, Auto Air Conditioning. Low rate finance and nationwide warranty available, please call or email for an instant quote and application, drive away in under 30 mins.